Making sure your volunteers feel appreciated is one of the most important things you can do… if you want to keep them around! After all, they freely give their time and energy and expect little in return – certainly they don’t do it for the money! There are a number of ways that you can make your volunteers feel special. Here are some ideas below, and while most of them seem quite obvious, I’m surprised at how many non profits forget them! We’re so glad to see you! There’s nothing like a warm welcome to greet you on arrival and it’s a sure way to your volunteers heart. Make sure you include your vollies in conversations and let them know that what they are doing is important and valued. Be sure to ask them how their week has been or what they did on the weekend – and take an interest in them as individuals. Buy them a coffee! 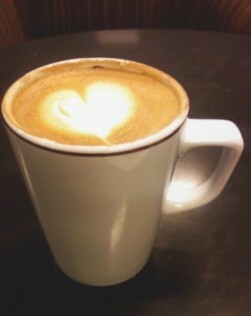 $3.50 is money well spent and such an easy way to show your appreciation. Where possible offer your volunteers the opportunity to learn new skills through training. Encourage them to develop their volunteer skills within the organisation or take on other roles that they might find interesting or challenging. By doing so you will increase their feeling of being valued and reduce volunteer turnover. If your volunteer applies for a job elsewhere show your support by providing a written reference or agreeing to be a referee. Make sure you tap into the opportunity to thank your volunteers by celebrating International Volunteer Day and National Volunteer Week (NVW). Volunteering Australia has some great information regarding NVW – with everything from celebration tips to Fast Facts about NVW – check out their website for more information here. Hold your own volunteer thank you function – high tea, barbeque, picnic lunch or breakfast is a great opportunity for a get-together of staff and volunteers. Part of the function could be a formal presentation ceremony where volunteers can be presented with a certificate, badge or organisation t-shirt. Some non profits hold activities such as bare-foot bowling or a movie night so that volunteers can get a sense of how they fit into the overall structure of the organisation and the good they are doing. You could also consider nominating your volunteers for awards or even featuring a volunteer in your newsletter. An anniversary card highlighting their year(s) of service. Note how they made a difference in your organisation over the past year. A little (or big) card saying well done with a chocolate waiting on their desk following a recent project they completed. Just two small words – thank you – but they mean so much. 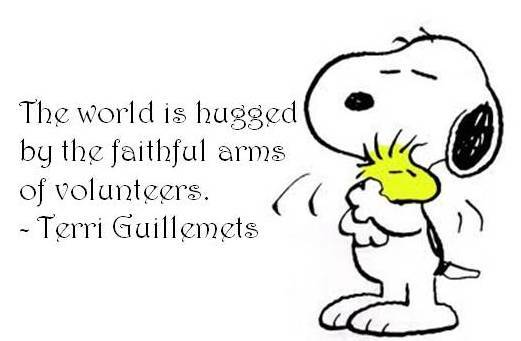 Let your volunteers know you appreciate their time and effort. They could have been spending their time playing tennis, having lunch with friends or having their nails done – instead they chose to help your organisation. Whilst recognising and celebrating volunteers’ achievements can take some time and planning, it is well worth it as the rewards can be substantial. It will help maintain volunteer loyalty and increase retention levels, which in turn benefits your organisation. Do you agree with these ways of acknowledging volunteers? Are there any other ways you recognise your unpaid team members? Let us know. A recent survey revealed that more than half of all Australians do no formal exercise, and despite this alarmingly high number of sedentary lifestyles, more than 63 percent of the population expressed a desire to lose weight. Go figure. Clearly, as a nation our actions aren’t living up to our actions. Well, whilst this isn’t driven by a charity, one Aussie company is trying to change that by encouraging a change in people’s attitudes to exercise and fitness. It’s clothing brand, Lorna Jane, who have created Active Nation Day. Taking place this Sunday, September 30th, Active Nation Day is part of the Move Nourish Believe campaign and encourages all Australians to get moving and engage in physical activity. For more than twenty years the brand has inspired women to not only look great when exercising, but to actually get active, and now it’s hoping to get the entire nation moving. They developed the following promotional video to discuss the issue. As part of the campaign, you can download the free Lorna Jane iPhone app and track your runs, walks or cycles via GPS, motivating you to move for the movement. Once you have completed the workout, you can upload it to the Now Move It website and track it along with your friends’ and the rest of the nation’s activities. To get involved in some of the free activities happening around the country – check it out here. While The Fish Chick has been writing Thank You Thursday blogs for some time now, it is the first time I can incorporate one of my personal passions into a post. I’m thrilled to acknowledge Lorna Jane Clarkson, the Lorna Jane brand and the Move Nourish Believe movement for their efforts to not only inspire a nation of women to be fit, but now also tackling Australia’s issues of inactive lifestyles and obesity head on. A brilliant effort. When was the last time you spent two dollars? Not five dollars but just two. What did you buy? I bet it wasn’t much. You can’t even get a coffee for $2 nowadays, can you? The average Australian lives on about $94 per day. To be living in extreme poverty in Australia, as defined by the World Bank, you would be living on just $2 per day. That’s $2 every day for food, shelter, health care, education, transport and anything else you might need. Sounds impossible, doesn’t it? What about just living on $2 worth of food a day, forgetting about the cost of your home, clothing and so on. Could you do that? Many animals in human care in this country are excluded from the protection of Australia’s animal welfare legislation. That is, about 500 million ‘food animals’ (as they are called) endure lives of misery in factory farms as they are without socialisation, sunshine and freedom. When a lady named Pam Ahern learned of these facts she decided to do something about it and create a place that could be a sanctuary for rescued farm animals. Edgar Alan Pig – a large white and landrace cross pig – was the first animal Pam rescued from a piggery and she named her sanctuary after him. Edgar’s Mission aims to rescue, rehabilitate and rehome wherever possible. They seek to create a humane and just world for humans and animals through education, advocacy and empowerment. The sanctuary is home to over 250 animals so a big part of what Edgar’s Mission does is help care for them. The other part of their work is to run education programs for students and community groups. While being conscious of not telling people what to do, the mission provides information and hopes to inspire people to be have more empathy for animals, respect for the environment and an understanding of the impact they are making on the world around them. Check out the video below for more information about Edgar’s Mission. If you’re in Melbourne, Edgar’s Mission have a few open days each year, and being only an hour from Melbourne it’s a a lovely day out. And, in particular, this Sunday (April 15) they have their Kids Day Out. The Fish Chick thanks Pam and the team at Edgar’s Mission this Thank You Thursday. A term that is being bandied about in fundraising circles recently is crowdfunding. It is a relatively simple concept that describes the act of raising funds through a group of individuals (or crowd) for a specific project or cause. Crowdfunding has its roots firmly in the charity sector, although it is quite popular in the music and arts industries and becoming more popular with business start ups. While it’s not a totally new concept – it’s been around since the late 1990s – it has had a recent resurgence due to the ease by which it can work with the support of the internet. 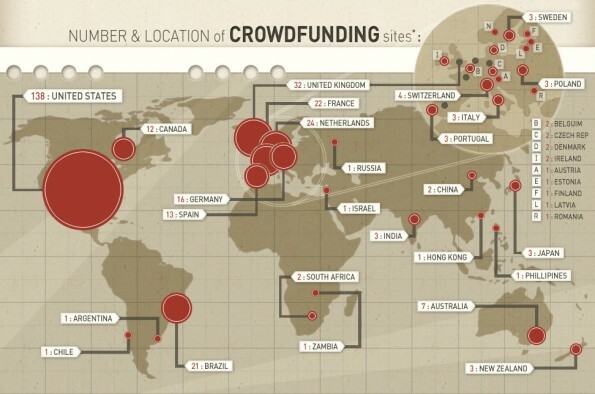 Crowdfunding sites are starting up all over the globe, with seven already in Australia, as indicated in the diagram below. 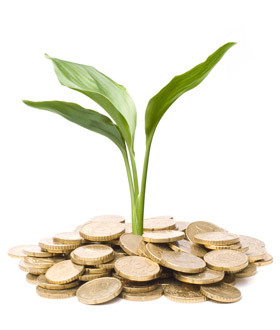 Equity-based crowdfunding is asking a crowd to donate to your business or project in exchange for equity. Debt-based crowdfunding is asking a crowd to donate to your business or business project in exchange for financial return and/or interest at a future date. Donation-based crowdfunding is asking a crowd to donate to your project in exchange for tangible, non-monetary, rewards such as an ecard, t-shirt or just for the giving feeling. It is this last type of crowdfunding that we will feature here today as it most commonly used by charities. Once they have decided on their project, charitable organisations can choose an online crowdfunding platform to use and then they set up their project page. They list on here all the details of the project including what the project is, who it will help, why it is needed and how much it will cost. It is important to remember that this page is your only chance at getting through to a potential donor – be sure to inspire them! As your project funding period passes your organisation should promote it through various online networks and social media sites. The more people that visit your project page the more chance you have in raising the funds you need. When an interested donor visits your page, they can pledge an amount to donate. This amount is only taken from their account when 100% of your funds have been raised. How can it help charities? Crowdfunding can be of great benefit to the charitable organisations because it can help raise funds for some of those innovative projects that perhaps you can’t get off the ground elsewhere. It can also be a great way to grow your donor base. Crowdfunding seems to appeal to a younger, more savvy investor who wants to have more involvement in the social outcomes they help fund, so this type of fundraising may just help your organisation tap into potential new, younger donors. 1. Is this an idea that enough people will think is valuable? You want enough people to invest in your project otherwise it won’t be viable. 2. Is this a project that can be accomplished with limited funds? Make sure you get your ask amount right. Obviously, the less money you need the quicker you can raise it, but you don’t want to fall short and have to change an ask (or ask again). 3. Are you dedicated to seeing this project through to fruition? Individuals who invest in your project are investing in your ability to complete it – they have the faith that you will do it, so you need to be sure you can. And remember, every crowd has a silver lining (at least the potential to, anyway). March 22nd, is World Water Day. World Water Day is a day designed by the United Nations to shine a spotlight on the importance of freshwater and advocating for the sustainable management of freshwater resources. There are a number of organisation’s around the globe that now focus their attention on promoting the need for fresh clean drinking water in developing countries and today I’d like to highlight one of the them. Thankyou Water is an Australian based non-profit social enterprise set up in 2008 by a group of young idealistic friends when they learned that Australians spend almost $600 billion on bottled water. Yes, $600 BILLION on bottled water in a country where fresh, clean drinking water is basically available at the turn of a tap. And at the same time 900 million people around the globe do not have access to ANY clean drinking water. Thankyou Water is a new brand of bottled water using 100% of its profits to fund water projects in developing nations across Africa and South East Asia. Their concept is simple: One bottle of Thankyou Water is enough to provide clean drinking water to one person for at least one month in the developing world. 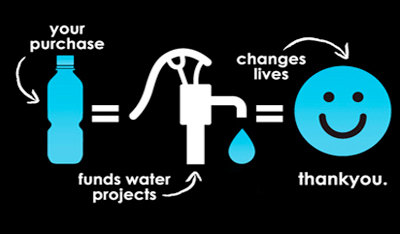 So far, Thankyou Water have had at least eight of their water projects fully funded through their social enterprise. Their water projects usually include the ‘hardware’ (the physical materials and equipment) and the ‘software’ (the health and hygiene education, skills training, labour and the monitoring and evaluation) aspects of the project, to make sure that the impact is sustainable in the communities in which they work. So this Thank You Thursday, the Fish Chick shows gratitude to the team at Thankyou Water. P.S Perhaps next time you’re out looking to purchase a bottle of water you’ll look twice for this bottle.